Because our commitment to best practices in education is the cornerstone of the Vistamar mission, it is not surprising that we find ourselves re-envisioning our school once again as we enter our second decade. Over this past year we have scanned the horizon and adjusted our course, and now we are thrilled to share this Strategic Plan—a vision for our future and a blueprint for achieving the goals we have set. After the completion of our self study and subsequent 7-year accreditation by CAIS-WASC, our entire community participated in a series of conversations to reflect on our accomplishments and to generate ideas for the evolution of our programs, community, and culture. What emerged from these conversations was a strikingly united commitment among all constituencies to our mission to provide innovative, globally focused programs to a diverse student body—concepts that were articulated by our founders over a decade ago and still inspire us today. There also was broad agreement that we continue to stay abreast of the latest research on teaching and learning and we continually assess our programs to ensure that they are a reflection of that research and our own experience and expertise as educators. 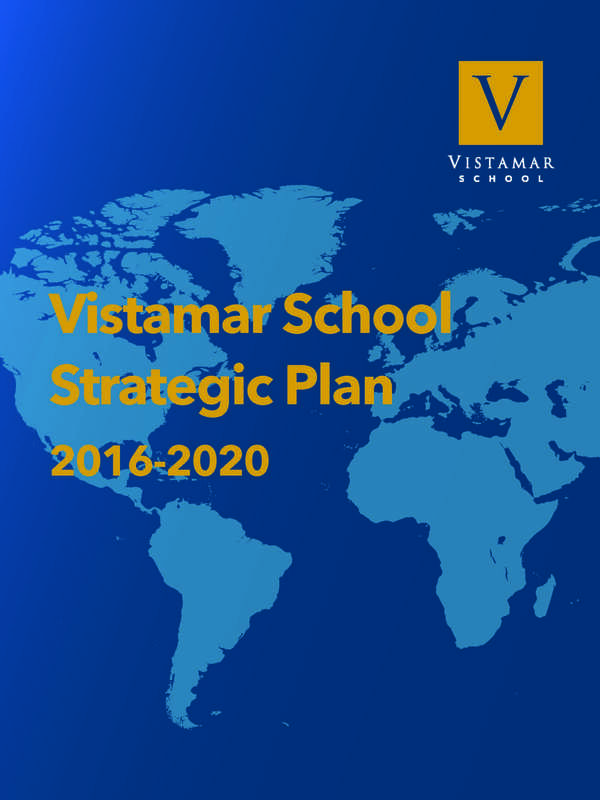 Most importantly, all members of the Vistamar community want to ensure that our school is a sustainable institution that will continue to serve students and their families for decades to come, and everyone expressed a willingness to do their part to make this desire a reality. We are so pleased to share this vision and plan, and we hope you will feel inspired to help us make it a reality in the months and years ahead.